Experience a whale watching adventure. Witness the awe-inspiring enormity and grace of 40-50ft (12-16m) humpback whales up-close in their natural environment. 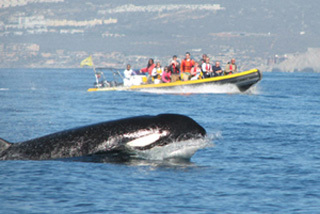 Choose between two whale watching options for your comfort level. 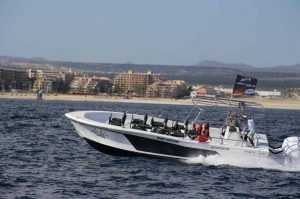 A Premium 2 1/2 hour tour with the best suspension seats Cabo has to offer or a two hour tour in a Panga Boat. Same whales & same water. You Choose. Every autumn, thousands of Gray whales make their annual 6,000 mile migration from the summer feeding grounds of Alaska to the calving grounds of Cabo San Lucas, the Baja and the Sea of Cortez. 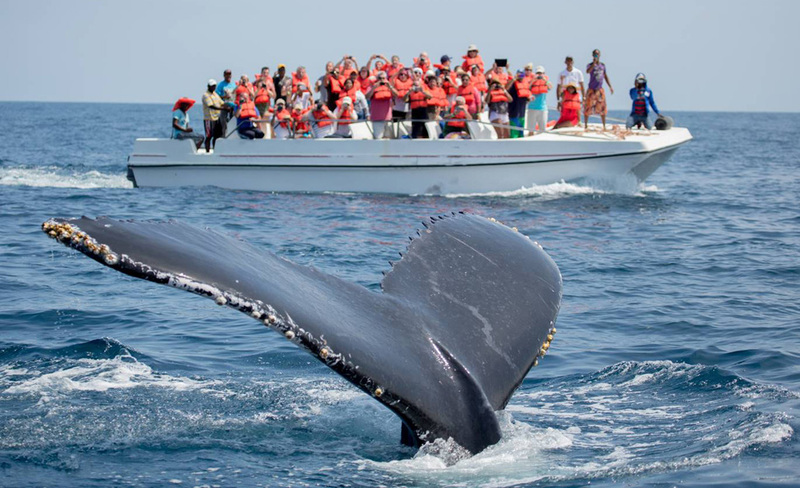 If you're coming to Cabo San Lucas between December 15 and April 15, you will likely be treated to seeing some of these gentle giants. 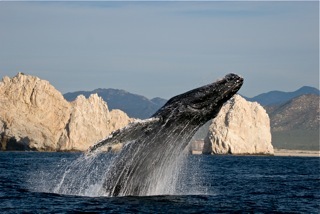 Gray whales are the species most often seen in Cabo San Lucas as they migrate along the Baja Coast of Mexico to calve. Humpback Whales and Pacific Bottlenose Dolphins are plentiful too. Sperm whales, Blue Whales and even Orcas are also sometimes spotted. Choose between our two Adventures below. 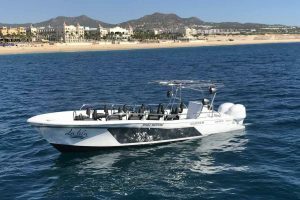 Experience the best way to enjoy Whale Watching in Cabo! Enjoy the combination of speed, comfort, beauty, and exclusivity in our custom made whale watching boat! 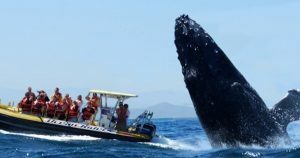 You and up to 18 passengers will run wild in the Pacific Ocean and Sea of Cortes searching for the worlds largest mammals. Drive with style without sacrificing your back and knees with the comfort of our suspension seats. Soak in the beautiful scenery and all points of interest of Cabo San Lucas bay with the power of our 500 HP outboard engines and speeds of up to 40 knots. We visit all landmarks such as the Arch, Lover's Beach, Divorce Beach, and a Sea Lion Colony. Want an exclusive experience with your friends and family? Private tours are available at special discounts and flexible departure times. Adults	$89usd - Pay $29 deposit now. Pay $60 at time of Departure. Kids - 6 to 15	$59usd - Pay $19 deposit now. Pay $40 at time of Departure. Not included and is left to individual discretion. This adventure uses the same whales & water but without the suspension seats. Don't worry, the whales won't care either. 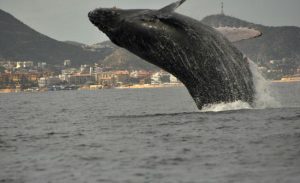 Enjoy your time at sea in the Pacific Ocean and Sea of Cortes searching for the worlds largest mammals. Soak in the beautiful scenery and all points of interest of Cabo San Lucas bay as we visit all landmarks such as the Arch, Lover's Beach, Divorce Beach, and a Sea Lion Colony. Adult	$40 usd - Pay $15 deposit now. Pay $25 at time of Departure. Child - 10 & Under	$35 usd - Pay $15 deposit now. Pay $20 at time of Departure. Experience a day full of adventure, beautiful landscapes and all Espíritu Santo island and it’s islets has to offer. Enjoy white sandy beach, crystal clear waters and an ocean full of life. 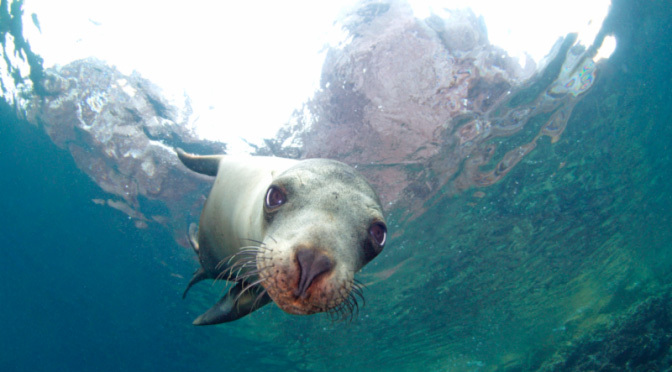 Espíritu Santo island is home to more than 400 sea lions. Visit “los islotes” and live a lifetime experience. 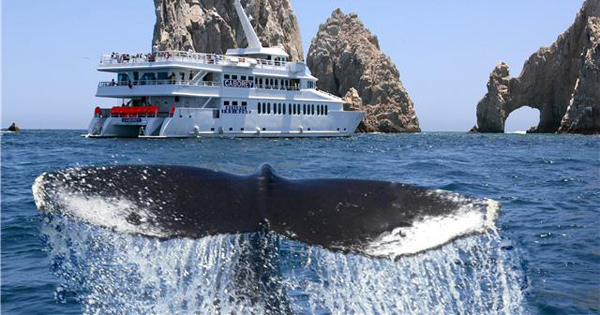 All of our tours can be modified and adapted to your needs (Arch Tour - Snorkel - Whale Watching). Let us know what you want, and we can personalize it for you.